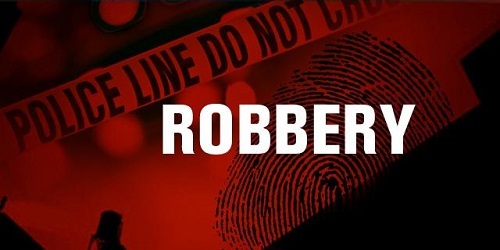 A man had his gold chain and cell phone robbed as he offered assistance to three unknown suspects. At approximately 2:30 p.m. on Tuesday, September 19 the victim was walking through a parking lot on the 9100 block of West Stockton Boulevard when he was approached by a dented older, gray four door sedan. One of the occupants asked the victim if they could borrow his cell phone. When the victim leaned into the interior of the vehicle, one of the occupants took his gold chain and cell phone. The vehicle then fled in an unknown direction. The suspect who stole the property was described as a Black male adult in his 20's wearing a black shirt and jeans. The other occupants of the sedan were described as a Black female adult with braided hair, and a white male adult in his 20's. It used to be "brother can you spare a dime?". Now it's "brother can you spare a gold chain and cell phone?". Inflation!